Cat lovers rejoice! 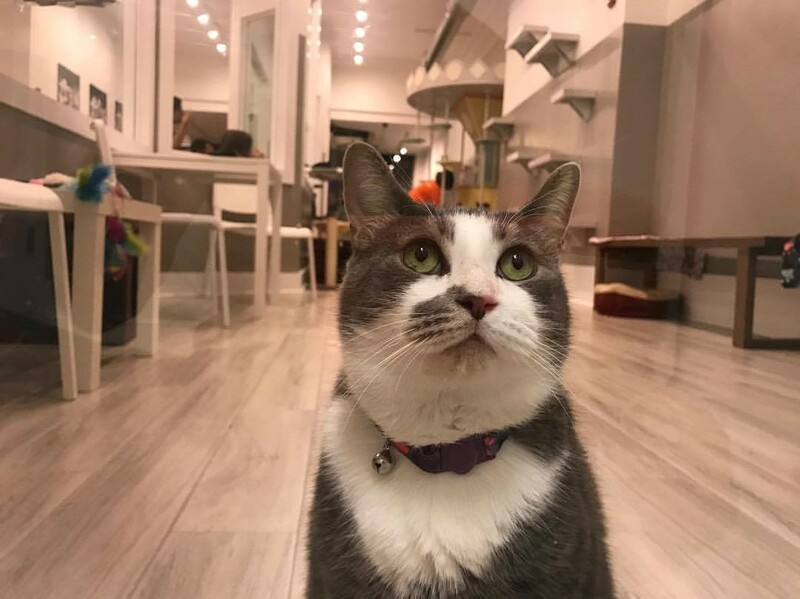 While cat cafés have been popular in Asia for years, they are only recently popping up in the US, and most recently at the Jersey Shore, becoming one of two cat cafés currently open in New Jersey. 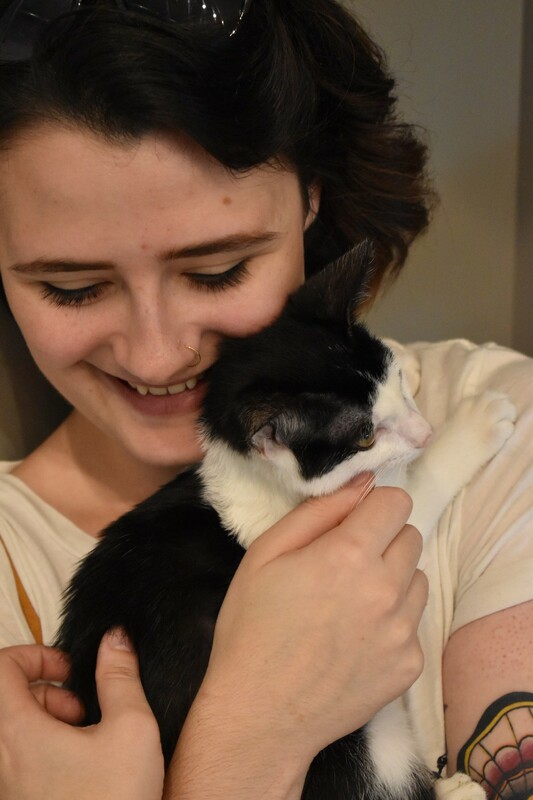 Catsbury Park, which opened on September 9, 2017, is the newest addition to Asbury Park, New Jersey, providing a unique space to watch and interact with adoptable cats and kittens, to support the “adopt don’t shop” movement. 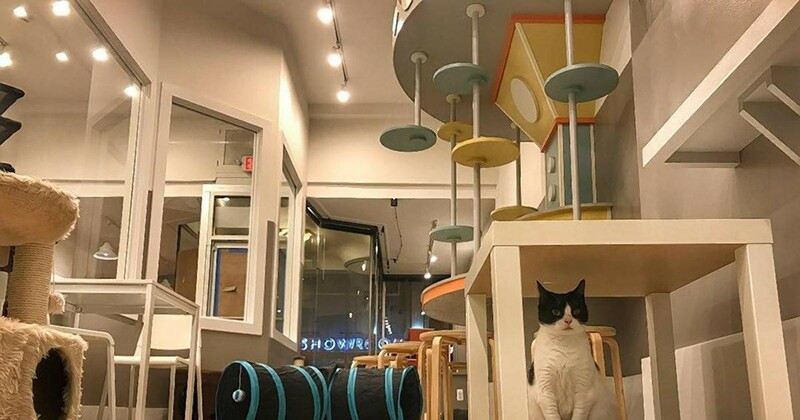 Their goal is to find forever homes in New Jersey for these displaced cats while creating a fun environment for café goers to interact with these animals. The café is part tea house, and part cat lounge. Walking in, you immediately notice cats sunbathing in the front window, and the room opens to a bright, airy, white tea house with a separate cat lounge with glass walls. The décor mixes key elements from Asbury Park, including a mural of the convention hall, with the freshness of a modern, beachy café. To enter the cat lounge, you simply sign a waiver and read the rules of the lounge, namely not picking up cats, as they will gladly sit with you if they choose to, and not waking up a sleeping cat. Treats are provided for the cats, which can help lure them to your laps. Before entering, there is small vestibule for safety, so none of their furry friends can get out, that doubles as a place where you can wash your hands upon leaving. Upon entering you can see an expertly designed cat oasis, with many nooks and crannies for the cats to explore, and even overhead bridges so the cats can fine tune their jumping and balancing. The walls are lined with shelves so the cats can jump from surface to surface and explore the room at every level. The lounge has benches and tables for the humans in the room, and cat beds, cat houses, and toys for the kitties. Every inch of space is immaculately cleaned and the multi-tiered landscape adds excitement and interest to the cats and fun for humans who try to guide them through the course. There are filtered water bowls and food always available for the cats, but treats are still the best form of currency for most of the kitties. Litter boxes are located behind a solid door in the room that is not accessible to visitors. Cats simply walk through the small, head shaped cat door for some privacy or downtime, if needed. A volunteer is always in the cat lounge if any assistance is needed, but the lounge is just as interactive for the humans as it is the cats. Every new visitor brings in new energy and fun. While visiting, groups of strangers would crowd around a playing cat and bond, or adults would try to help younger children interact with the cats by making sure that the children had toys and treats to offer the cats. What may be the greatest part about Catsbury’s approach is that those who may not be familiar with cats and want to interact with them can behind the glass wall, or slowly make their way into the cat lounge. With only 10-15 cats in the large lounge at a time, with many of them sleeping, the atmosphere is much less intimidating than a typical shelter experience. Also, the cats get to interact freely with people and have many places to hide and sleep if they need more privacy, so they are incredibly calm and playful. A 30-minute Weekday visit to the cat lounge (Monday-Thursday) costs $9 for adults, $7 for kids 9-15 years old, and $5 for kids 2-8 years old. On the weekends, this rate for adults is $11, $9 for kids 9-15 years old, and $5 for kids 2-8 years old. Kids under two are always free. For those who would like to watch the cats without paying to visit, there is a bar on the other side of the glass, perfect for doing work during the day or meeting a coffee date. While the focus is on the lounge, the café is not to be missed. 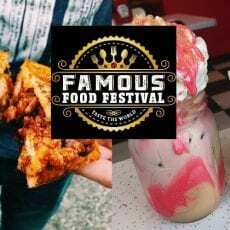 The menu includes delectable snacks, beverages, and salads, made with fine, fresh ingredients. 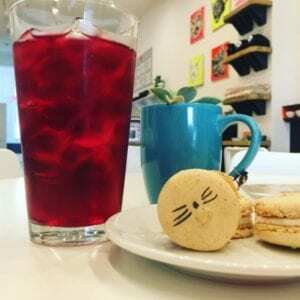 There are plenty of vegan and gluten-free options, including the cutest gluten-free macarons with printed cat noses and whiskers on them, and a variety of global coffees and teas. Their custom tee shirts, available in the café side, feature great prints and graphics for kids and adults, to celebrate the cat lover in your life. They’re not only visually striking and stylish but buying one is equal to donating a week of food to a Catsbury cat. 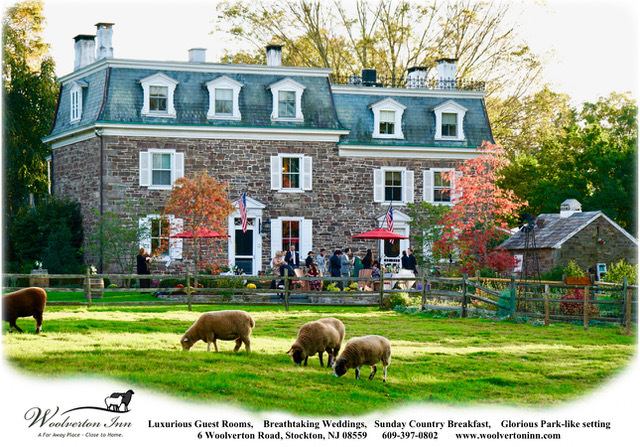 Catsbury Park also offers private events, making it one of the most unique small party venues by the Jersey Shore, especially great for kid’s birthday parties or celebrating an achievement in the life of a cat lover. 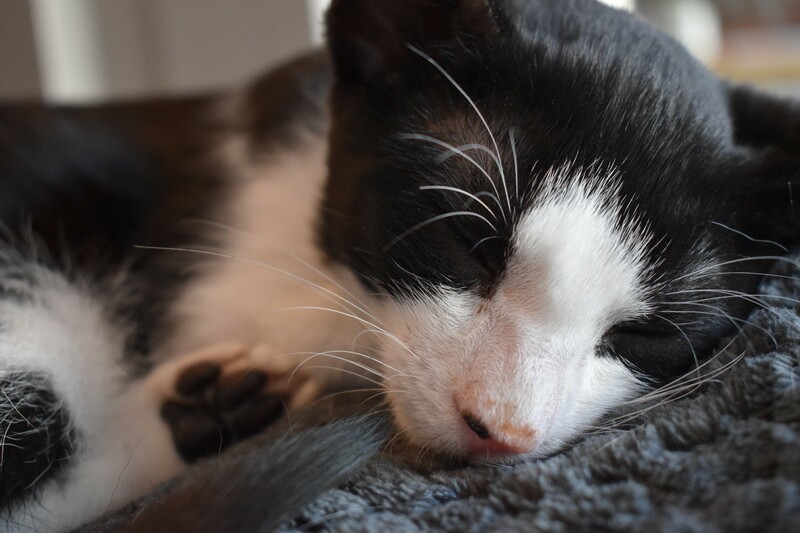 Check out the cat gallery of the residents of Catsbury Café that you can visit today. 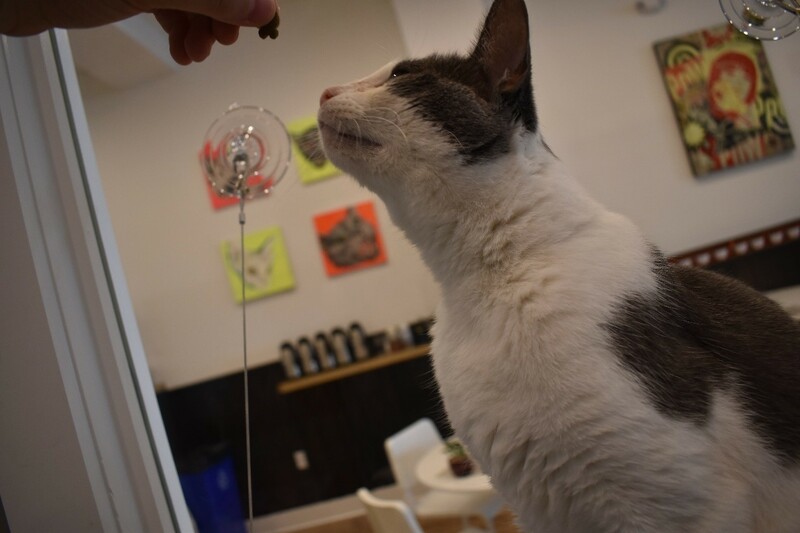 If you’re on a day trip to the beach or just love meeting new furry friends, make sure that Catsbury Park cat café in Asbury Park, New Jersey is on your list of places to go at the Jersey Shore. Photos courtesy of Catsbury Park and Ian Elliott. 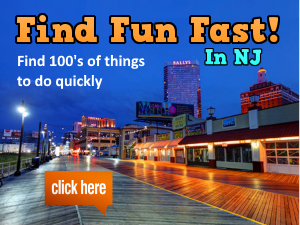 For more things to do in Asbury Park check out our list here. How about more indoor activities in NJ? 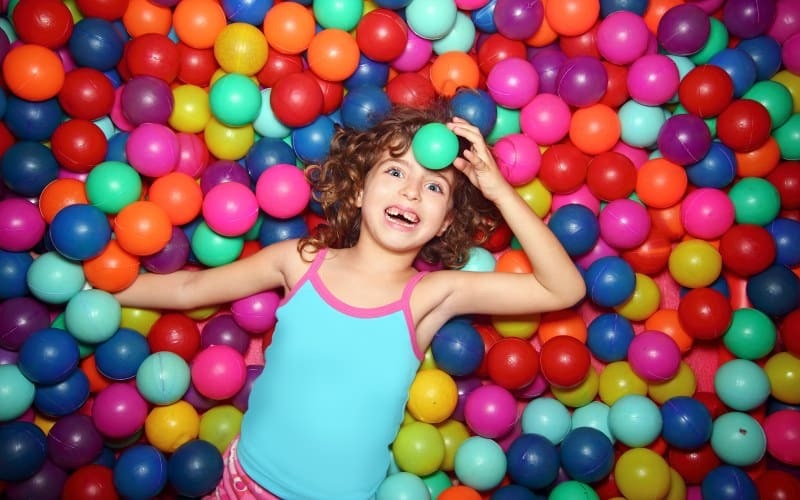 We have a definitive list of 182 rainy day activities! Renee is a content marketer and writer for FunNewJersey.com. In her free time, she enjoys finding new places to explore in NJ. 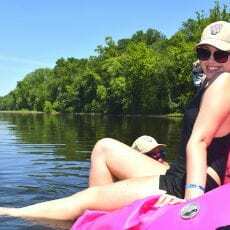 Experience Delaware River Tubing & The Famous River Hot Dog Man of NJ!